Tomorrow, October 6th, is Mad Hatter Day! University Archivist Jocelyn Wilk shares a Columbia connection to the day, which celebrates the Hatter, a key character in Lewis Carol’s Alice in Wonderland. 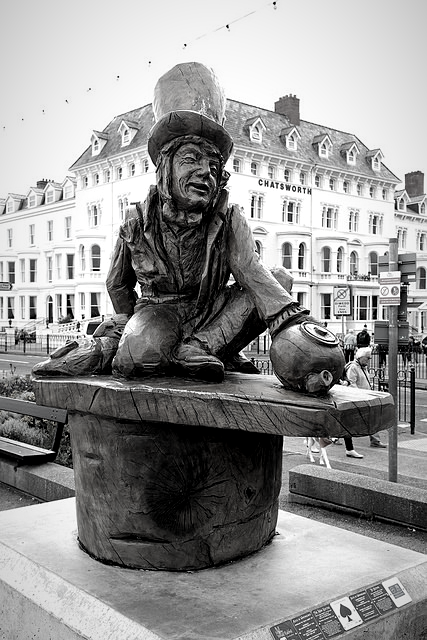 Mad Hatter, Alice in Wonderland, Llandudno. Did you know that Alice in Wonderland came to visit Columbia and was awarded an honorary degree? You may think us mad to suggest such a thing, but, indeed, this actually happened! 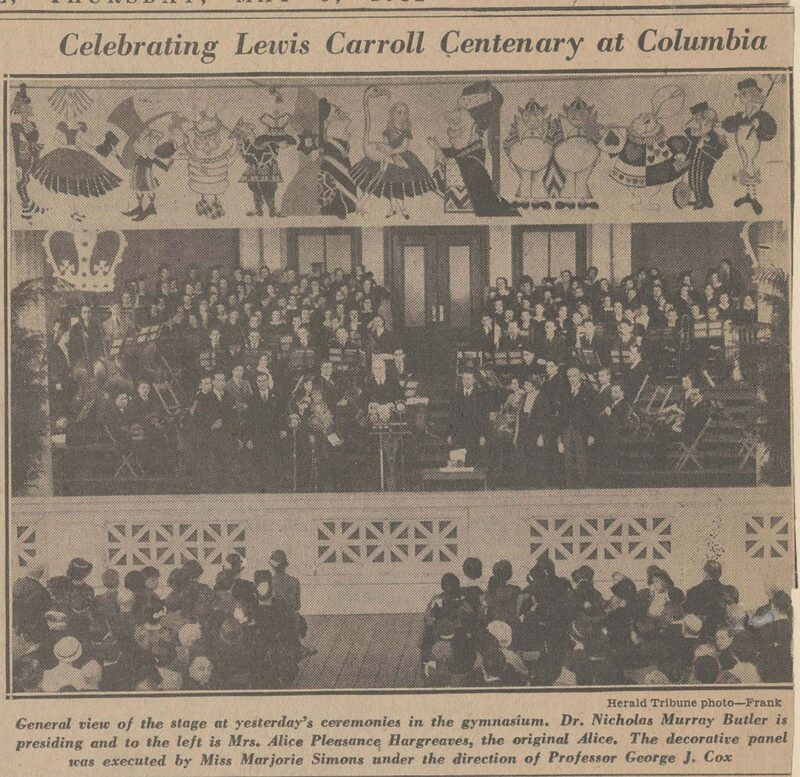 In May 1932 Alice Pleasance Hargreaves, the “Alice” of Lewis Carroll’s works, came to New York City and Columbia University, in particular, to help celebrate the 100th anniversary of Lewis Carroll’s birth. 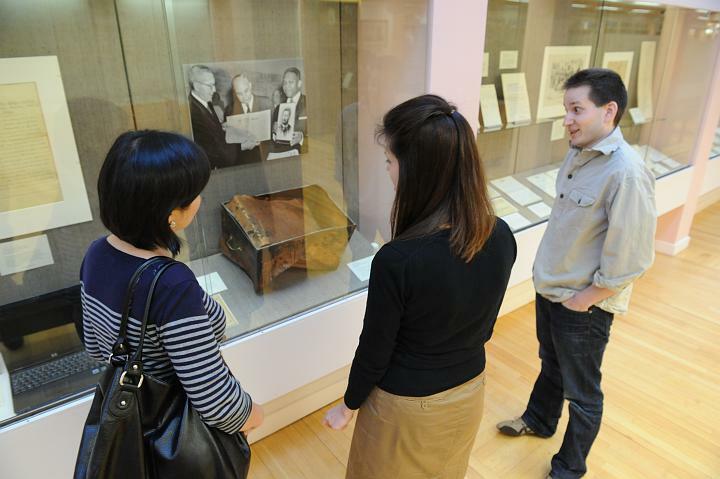 Festivities at the University included an exhibition held in the Avery Library of “Carrolliana” assembled from collectors throughout the country. Columbia University Honors the Original Alice of “Alice in Wonderland”. New York City.- Mrs. Reginald Liddell Hargreaves, for whom Lewis Carroll wrote the book which is now one of the world’s classics, with President Nicholas Murray Butler of Columbia University after the private ceremony in which she was given the degree of Doctor of Letters. 5/3/32. Source: Historical Photograph Collection, Columbia University Archives. Celebrating Lewis Carroll Centenary at Columbia. General view of the stage at yesterday’s ceremonies in the gymnasium. 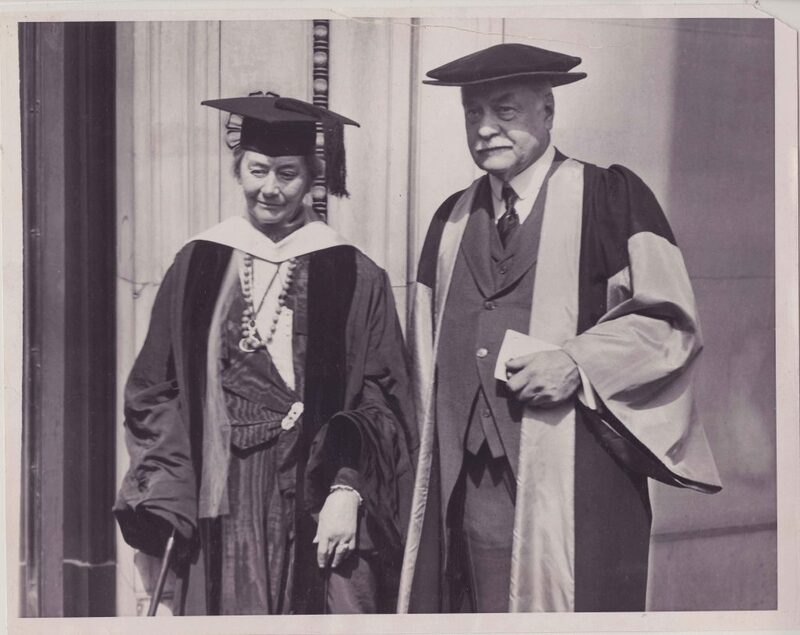 Dr. Nicholas Murray Butler is presiding and to the left is Mrs. Alice Pleasance Hargreaves, the original Alice. The decorative panel was executed by Miss Marjorie Simons under the direction of Professor George J. Cox. Behind the speakers, the stage was decorated with a colorful banner depicting the various fantastic characters from the books, all patterned after the original illustrations by John Tenniel. The banner was executed by Miss Marjorie Simmons, a graduate student in the Department of Fine Arts of Teachers College. Parts of the “Alice in Wonderland” suite of Edgar Stillman Kelley were performed by a special chorus of 120 voices from Barnard and Hunter College Glee Clubs accompanied by the 70 members of the Columbia University Orchestra. The program was broadcast through this country and Europe over an NBC hook-up. This entry was posted in Columbia University Archives and tagged Alice in Wonderland, Alice Pleasance Hargreaves, Lewis Caroll on October 5, 2018 by Columbia Rare Book & Manuscript Library.